Originally from Puerto Rico, Dr. Rivera­ Velázquez has explored a broad range of LGBT/queer movements across the Spanish­-speaking Caribbean and the United States. She obtained her doctorate on Communications & Media at the University of Illinois in Urbana­-Champaign in 2011, while simultaneously working at New York University’s LGBTQ Student Center in between 2009 and 2015. She served as the Director of NYU LGBTQ for the last three years and as an Adjunct Faculty for the Silver School of Social Work for the last four. 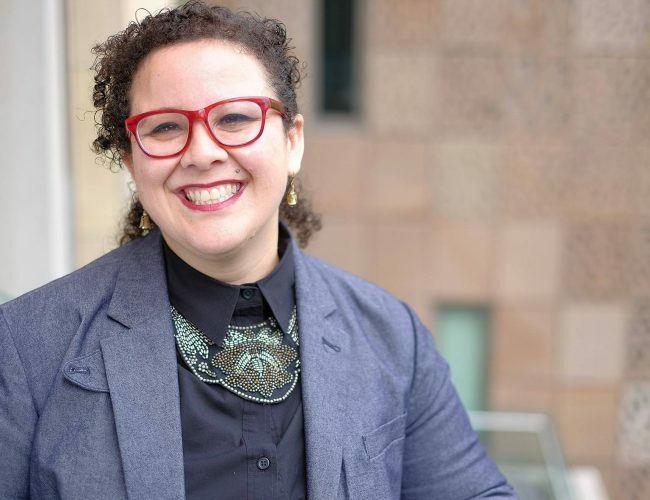 Dr. Rivera­ Velázquez is an alumna of the 21st Century Fellows Program of the Pipeline Project, which focuses on the advancement and strategic development of people of color working in LGBTQ and social justice non-­for-­profit organizations. She also completed a two-year term as part of the Executive Board of the Consortium of Higher Education LGBT Resource Professionals. Throughout her career, she has combined written and visual knowledge production to train and consult, as well as screen and present, her work in national and international settings.